We’re not just applying pest control. We’re advancing it. Rocket Pest and Termite Sydney is motivated and driven by innovations in the Pest Control industry. We are constantly finding new and better ways to control pests, treat termites and to improve our levels of service to you. After all, every situation is different. That’s why we’ll customise a pest control and termite treatment solution to fits you and your specific pest and termite problems. We really care about our clients and will to everything we can to get results. 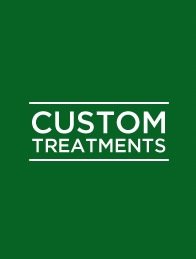 We have developed custom treatments to control pests and termites to give you peace of mind.